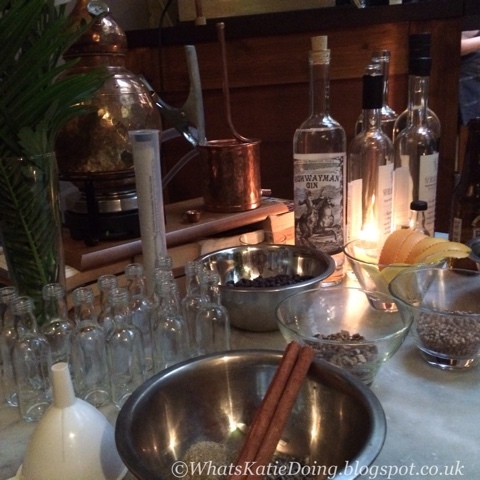 Making Gin in the Loo... - What's Katie Doing? 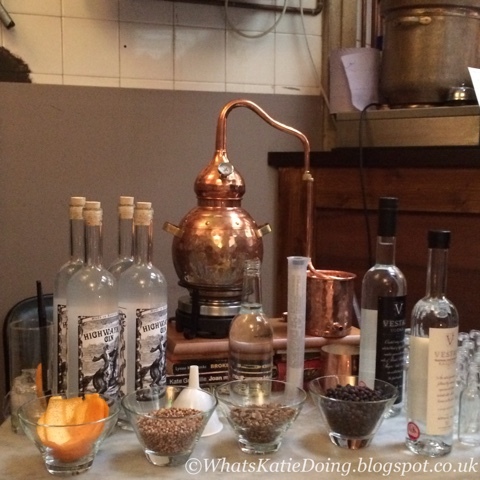 Otherwise known as ‘when we made gin in an old public convenience’ – that being Gin Club at Ladies and Gentlemen bar in Kentish Town. 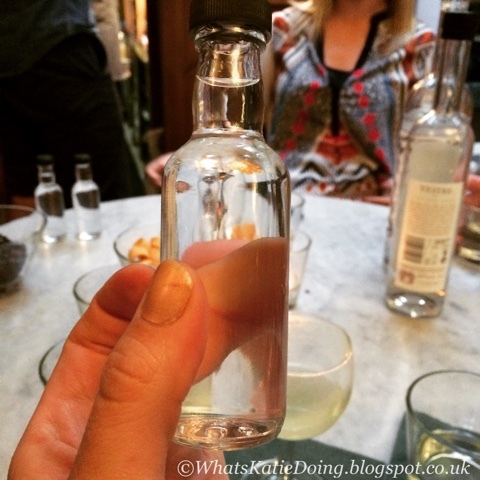 Gin Club had already had a gin making experience – on a boat with Willy Borrell and now we had the chance to make gin on dry land and what’s more actually influence what goes into it! Yes that’s Mr Burns behind gin club Brad – don’t ask! Yes that’s a mini-still with a range of essential gin botanticals in front of it, flanked by gin and vodka bottles – looks like a good start to the party! 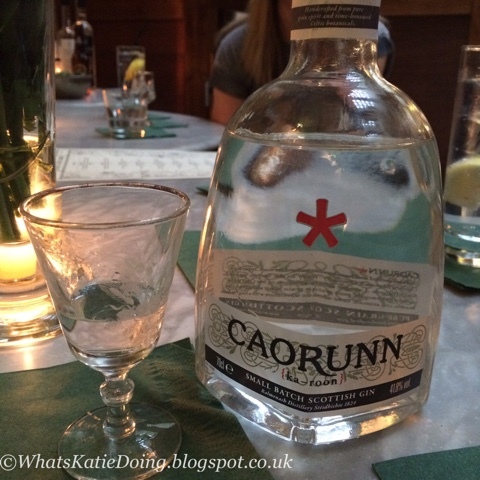 Caorunn is made in Scotland and has the unusual botanical of Scottish heather – I first tasted it at a London Cocktail Week event. The gin is smooth and the foraged heather gives a sweet edge to it. Sarah getting to grips with the Caorunn bottle. 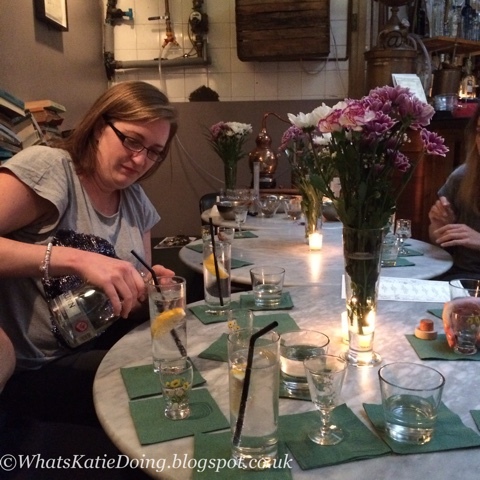 Then as Willy talked us through the history of gin, we got to taste the vodka that he uses as the base. 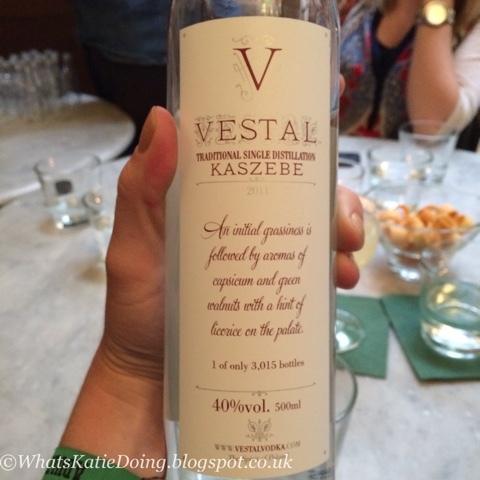 Single variety, single distilled potato vodka from his family farm in Poland – special stuff! 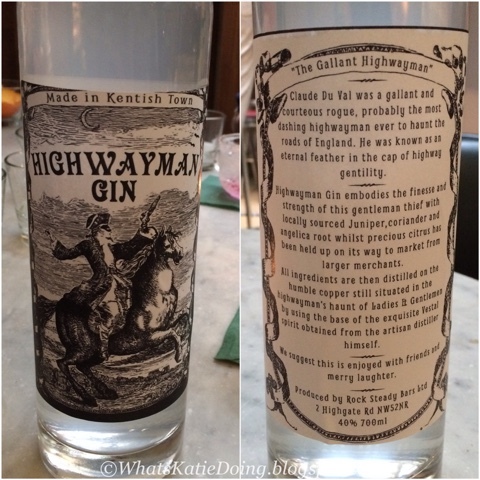 Willy makes his own gin – Highwayman Gin – in the slightly larger still at Ladies and Gentlemen, 12 bottles a day – using the same method as we were about to use. Willy is only one of two people in the world who uses potato vodka as the base for his gin – the other person is in San Francisco… I feel a longer distance trip coming on! 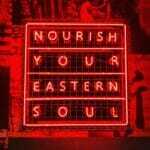 As darkness fell the whole set up got atmospheric with the addition of candles! 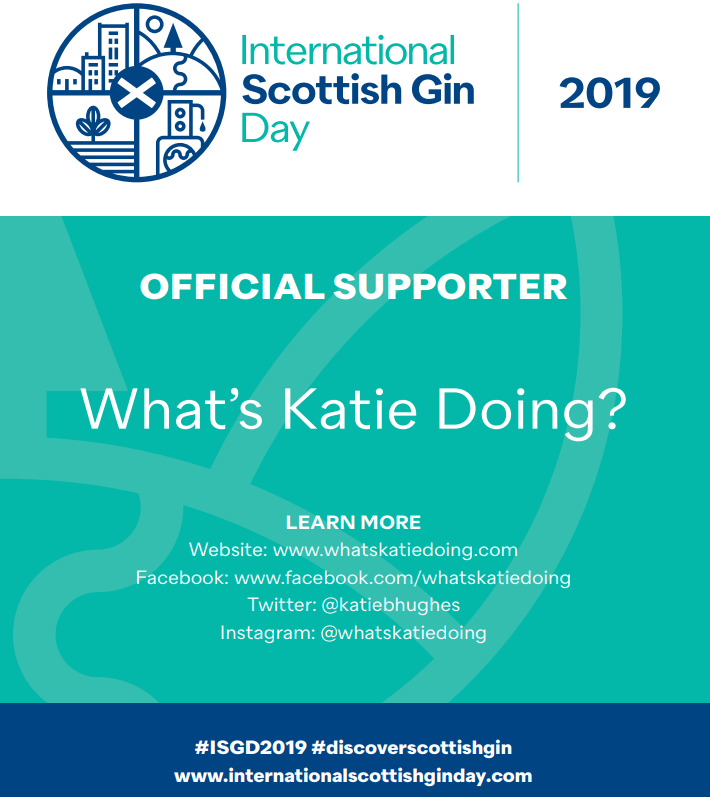 Gin is usually made using a neutral grain spirit that has to be distilled with a minimum of 45% juniper and cut with water to a minimum of 37.5% alcohol to be legally called gin in the EU. Normally you add some additional botanicals to the juniper – coriander seed, citrus peel and angelica root are the ‘base’ ingredients – as you can see from the above we added cinnamon and our citrus was fresh grapefruit peel. 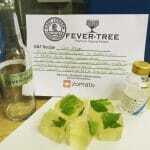 The surprise ingredients that we specially considered for our Gin Club were kaffir lime leaf, to bring the fragrant citrus to the fore and a few pinches of celery salt for some savouriness. 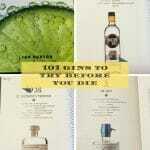 But you can basically add anything to flavour the gin – as long as you have the 45% juniper in there!! Usually the makers let the mix of the ingredients macerate overnight in the still before heating it up to start the distillation process – we didn’t have that luxury, so we gave our ingredients a good bash and stir with the vodka before Willy sealed the copper still authentically with dough… Yes really! Willy used a rye dough as traditionally rye was used to clean the copper. Can you see the dough? 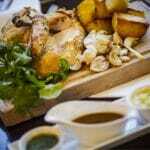 It doesn’t cook enough to eat, how cool would that be if it did?! 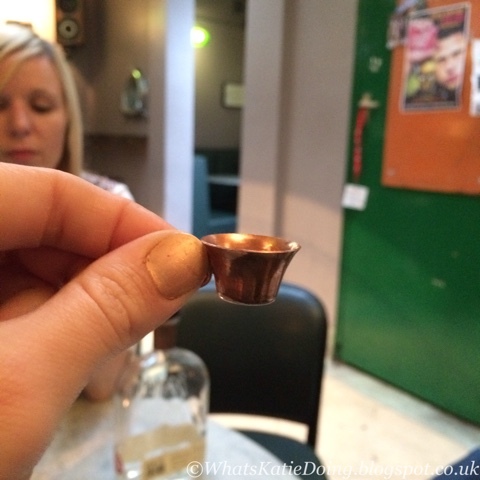 Tiny tiny copper cup to taste the 80% proof distilled spirit. 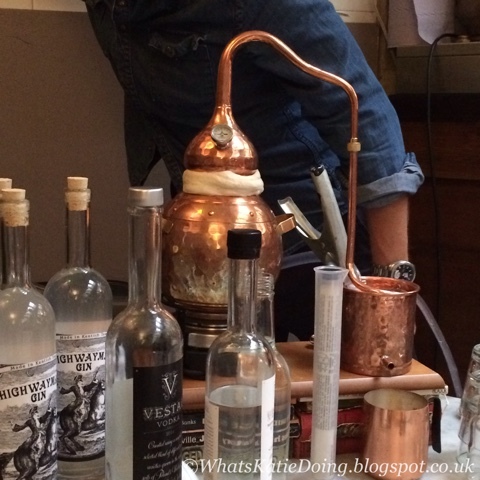 Then Willy cut the finished product with water to bring it down to a more drinkable level and we were done – gin all round! Oh well we can certainly say we have our own unique gin that no one else will be able to taste! 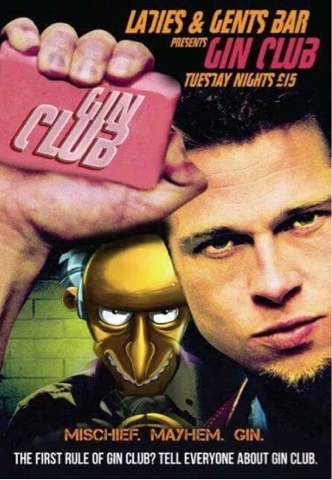 If you want to have a go, Gin Club is every Tuesday at Ladies and Gentlemen bar in Kentish Town. 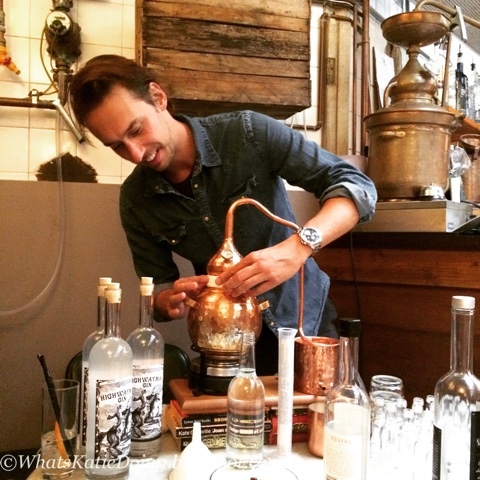 You can book to join Willy on his gin making adventure at Billetto. 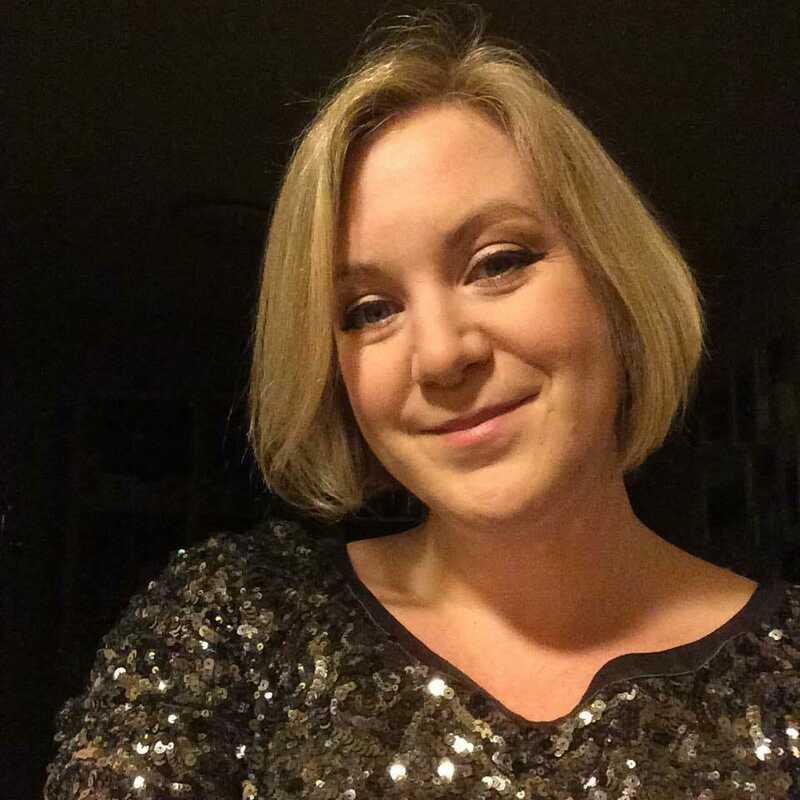 Don’t forget to think about what secret/unique ingredients you want to try out! 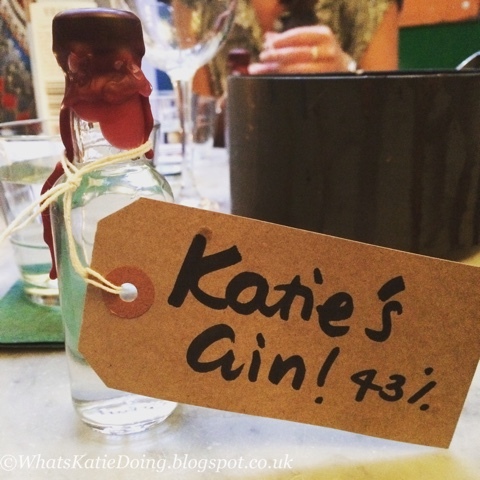 Disclosure: I attended the first gin club for free, as a sort of guinea pig and then dragged Gin Club with Reading Problem along where I paid for my gin!